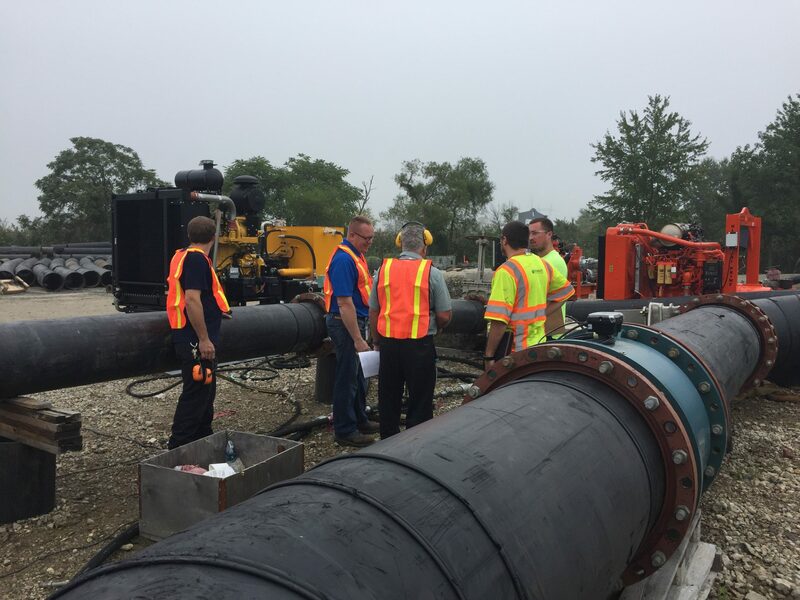 On a warm and overcast day two weeks ago, members of the Hydra-Tech team arrived at Bridgeport, NJ to test our S30M, the new 30″ axial flow pump paired with our 400 horsepower hydraulic power unit. This axial flow beast stands 92″ tall and weighs in at over 2800 pounds. The lead up to this effort was long but we were confident that we would see positive results. We were not disappointed. With that 400 horsepower John Deere engine humming and 140 gallons per minute at 4000 PSI of hydraulic fluid spinning the vane motor and mixed flow impeller at the heart of the S30M, the water was moving and delivered almost exactly the kind of output we expected. We worked our way up and down the hydraulics input profiles at several head pressure points. 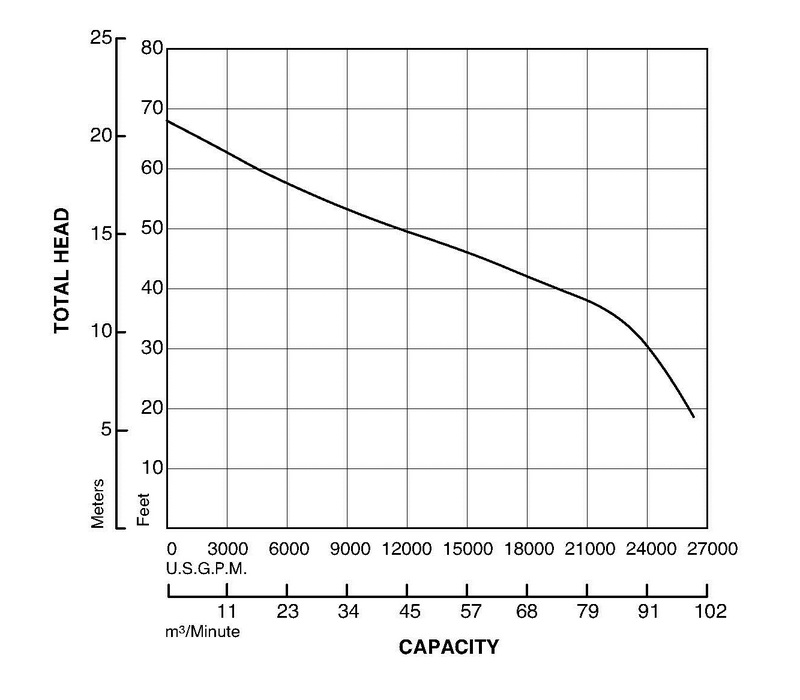 Based on the readings, we developed the max curve seen here. Also on site was an independent Professional Engineer who is in the process of certifying our curves for the S30M. Squeezing every ounce of horsepower out of the engine we were moving more than 25,000 gallons per minute of water at nearly 30 feet of head. 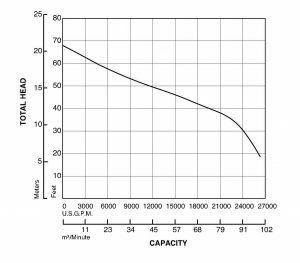 When pushed to the max, we almost reached 70 feet of head. Check out our curve below. So where do you put a big boy like this to work for you? 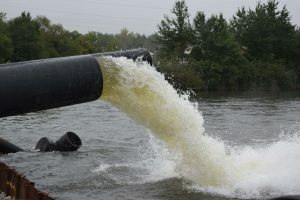 Low to medium head applications like flood control, levee work, dam construction are just a few of the potential applications. Our Axial Flow pump line now offers our customers a 6″, 8″, 12″, 18″, 24″ and 30″ pump depending on your needs. 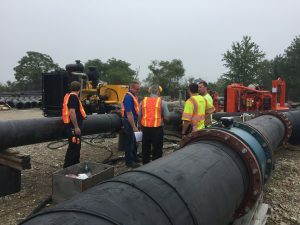 Can one of Hydra-Tech’s axial flow pumps move some water for your company?